You might think that in the business-to-business space, brand awareness and loyalty is less important than it is for consumer brands. One of VMware’s customers tattooed the company’s logo on the back of his head, a move that demonstrates a pretty personal commitment. But some branding experts believe that brands matter even more in B2B than in B2C. Why? Many B2B companies compete in a confusing or fragmented marketplace. Often they’re trying to differentiate highly technical offerings by focusing on functional aspects. It’s a cliché of B2B marketing that it’s all “speeds and feeds,” and that connecting on a more personal level is for the consumer realm. But initiatives that focus on creating value for B2B brands can have tremendous payoff. A Harvard Business Review study on B2B brands concluded that the corporate brand is responsible for an average 7 percent of stock performance. Depending on your market cap, brand equity can mean hundreds of millions of dollars. When I was studying integrated marketing in graduate school, one exercise came up time and again: Answer the question: “Do you have a favorite brand, and why?” Responses were mostly consumer brands, and explanations were always fascinating. Ask yourself about anything “Why do I want this or not want it?” Is it the color? Is it the ingredients? Is it what you feel in your hands? Is it the price? Is it the name? You can apply what you learn even to complex B2B products. A client of ours sells sophisticated scientific instruments and faces a competitor whose arguably inferior product has benefited from significant brand investment, best demonstrated by its sleek-sounding name. Even a marketplace filled with highly logical and analytical thinkers can be swayed by the sense that a cool brand makes the product inherently more desirable. Some of our B2B clients inspire fanatical loyalty that most consumer brands can’t match. 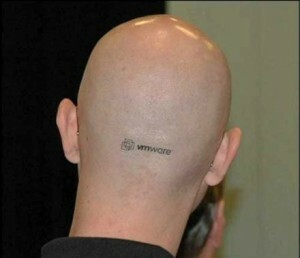 One of VMware’s customers tattooed the company’s logo on the back of his head. A tattoo is a pretty personal commitment, but the product enabled this person to feel like a rockstar in his professional life. Professional decisions are emotional choices. What matters in the end is that you’re offering your customers something that matters to them. We are pleased to announce the launch of Allegheny Health Network, a revolutionary model for healthcare delivery developed by our client, Highmark, with brand strategy, naming and identity development by Marshall Strategy. After acquiring the West Penn Allegheny hospital system, Highmark assembled a patient-centric, progressive new network for delivering affordable, high quality healthcare within western Pennsylvania. Highmark chose to name this new model Allegheny Health Network, to take advantage of existing equity and a tradition for excellence at Allegheny General Hospital. 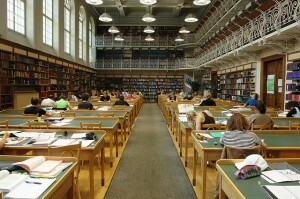 In its new incarnation, we recommended communicating the key attributes of expertise, progressiveness and teamwork. In partnership with renowned designer Jerry Kuyper, Marshall developed a cohesive brand strategy, naming architecture and visual identity system for Allegheny Health Network. The resulting system is fresh, engaging, and immediately recognizable. The new symbol arches upward, suggesting optimism and a fresh, progressive approach to health and wellness–its green and blue diamonds compose a larger mark that conveys both teamwork and patient-centricity. 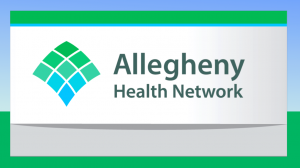 When used in combination with a hospital or service name, the symbol, color palette and Allegheny Health Network endorsement create an immediate sense of presence and connectivity, enabling a variety of distributed facilities, services, and physician groups to build awareness for the overall network. The new system will connect seven hospitals, multiple specialized outpatient care centers, and 7,900 professionals from more than 200 physician practices into one of the strongest networks in Pennsylvania. So far, local business press has been positive. We look forward to seeing how Allegheny Health Network’s new market presence helps transform health care delivery for the better. This 4th of July, it’s worth taking a moment to admire and be inspired by the U.S. Identity System (naming and design firms unknown). What lessons can we who are in the business of brand identity draw from the U.S. system? An aspirational and inclusive identity: The system is based upon the universally desired attributes of Freedom, Justice and Equality. The system is not intended to favor, or to appeal only to any single cultural, ethnic or religious group. It is not intended to balkanize the U.S. into separate groups with interests prejudicial to others, or to allow one group to abuse other groups. A cohesive architecture: The U.S. system allows for increasing levels of loyalty. U.S. citizens can be proud Americans, but they can also be proud citizens of Texas or California and proud citizens of Dallas or Houston and Los Angeles or San Francisco, and The Mission District or Pacific Heights. These loyalties to states, cities and neighborhoods under the United States umbrella provides plenty of room for individual identities within a collective identity. In addition, we benefit from the cultural contributions of African Americans, Italian Americans, Irish Americans Hispanic Americans, Gay Americans, Catholic Americans, Muslim Americans, Jewish Americans, Native Americans, liberal Americans and conservative Americans and many more. Large companies with dispersed operations, multiple products and diverse customers should hope to achieve such a cohesive yet diverse and vibrant identity. Unique and evocative naming: The names of U.S. states provide a rich tapestry of stunningly beautiful and unique names. How could names be more wonderful than: California, Texas, Arizona, Montana, Oklahoma, Colorado and Alaska? The uniqueness and beauty of these names stand as a mighty challenge to those in the business of naming companies, divisions and products. Clarity of purpose: The U.S. also has major Divisions, and each has a clear and powerful mandate: Justice, Energy, State, Treasury, Budget, Agriculture, Commerce, Trade, Small Business, Labor, Health, Veterans, Housing, Transportation, Education, Environmental Protection, Defense, Interior and Homeland Security. 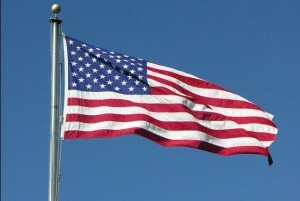 Great graphic design: The unique graphic impact and flexibility of the American flag’s stars and stripes are unlimited. There have been beautiful applications of blue fields with white stars and vertical or horizontal uses of red and white stripes and combinations of both. We have a wide range of authoritative seals and symbols (some better designed than others). People who embody the “brand promise”: And, we must never forget the brave men and women in the U.S. Army, Navy, Marine Corps, Air Force and Coast Guard, each with its own uniforms, units, symbology and rousing anthem, who protect and defend all that we enjoy.